The Work From Home Resource Center: Work From Home for Amazon! Work from home as a Customer Service Associate for Amazon! Amazon is currently hiring full-time Customer Service Associates for its work from home virtual contact center. 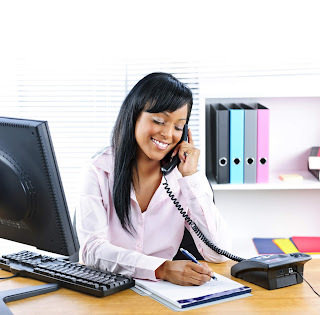 However, in order to be considered for this work from home position, you must reside in one of the following states: Arizona, Delaware, Florida, Georgia, Kansas, Kentucky, Minnesota, North Carolina, North Dakota, Ohio, Oregon, Pennsylvania, Tennessee, Washington, West Virginia, Wisconsin,Virginia. According to Amazon, "The ideal, work from home Amazonian is internet savvy and has technical aptitude when it comes to online tools and research. You will think outside the box, solve problems, answer questions, and resolve concerns presented by our Amazon customers." The rate of pay for this position is $10.00 per hour. Amazon offers paid training, a bonus opportunity, and dedicated resources for its employees. In addition, Customer Service Associates will work an assigned schedule (which at times may include mandatory overtime). However, associates may not work more than 60 hours in any given week.